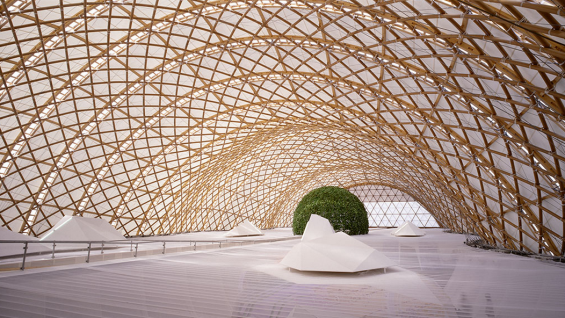 Shigeru Ban founded Tokyo-based Shigeru Ban Architects in 1982. The firm has since expanded to New York and Paris. He became a consultant to the United Nations High Commissioner for Refugees in 1995 and founded the NGO Voluntary Architects’ Network in the same year to support disaster relief. Notable projects include: Japan Pavilion, Expo 2000, Hannover; Nomadic Museum, New York; Seikei University Library and Nicolas G Hayek Center, both in Tokyo; Paper Temporary School/Hualin Elementary School, Chengdu; Centre Pompidou-Metz; Container Temporary Housing, Onagawa, Japan; Paper Partition System 4 for Evacuation Facilities, East Japan; Cardboard Cathedral, Christchurch, New Zealand; Aspen Art Museum; and Oita Prefectural Art Museum, Oita, Japan. Free for current student/faculty/staff of The Cooper Union and League members.